**UPDATE (1PM) ** -- The LCEC power map shows that all power has been restored in the area. 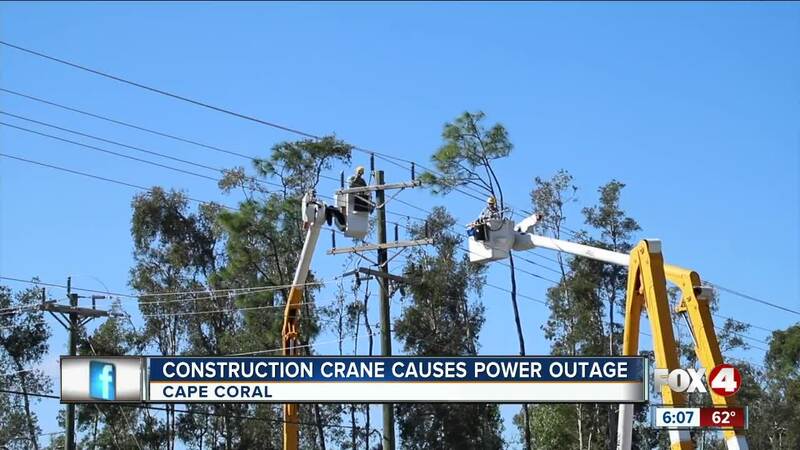 CAPE CORAL, Fla. -- Power crews are working to restore power to several thousand customers after a construction crew interfered with power lines. According to LCEC's power outage map , as of 10 am Monday there were 2700 customers without power in the area around Pine Island Road West. They say a construction crane touched power lines shortly before 8a.m.